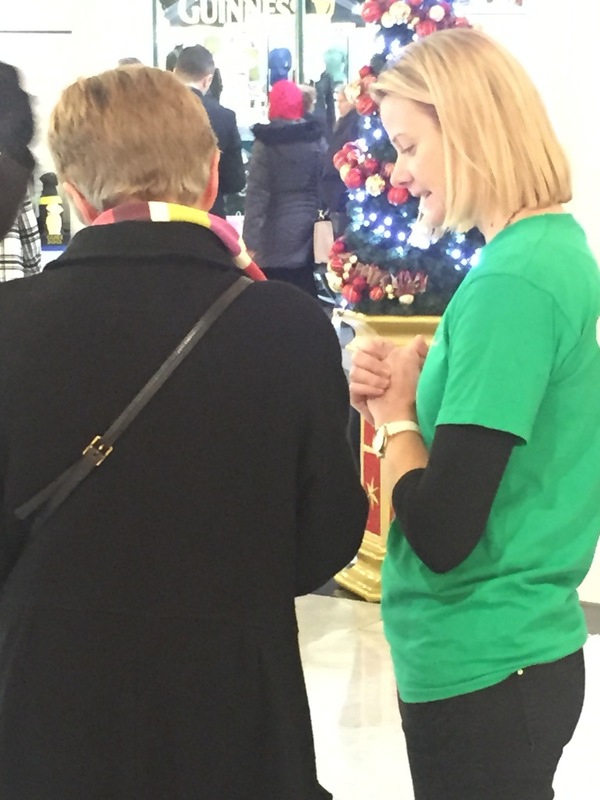 The Stephens Green Centre on a busy pre-Christmas Wednesday was the setting for ChildFund Ireland’s latest event to raise awareness about the right of children to be free from violence and exploitation. For ChildFund Ireland, the right of children to be protected from all forms of harm is something that all of society should be engaged with, in short, a ‘no-brainer’, and it seems that many of you agree. 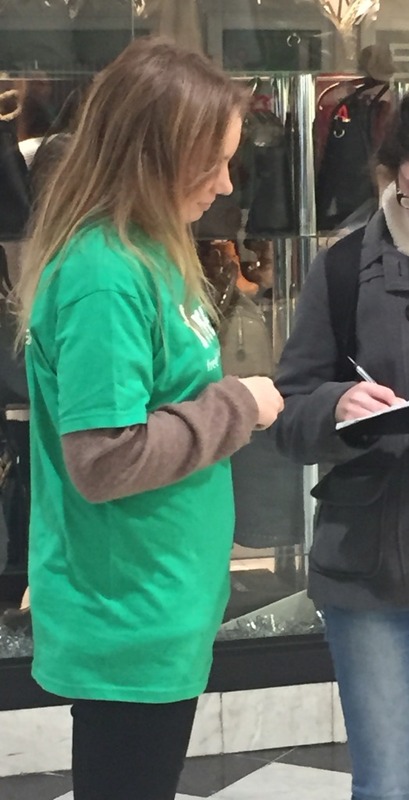 Despite the cold, and the intensity of seasonal hustle and bustle, several hundred of you took the time to sign our petition, find out more about our work, and thank us for caring about children’s rights. The ‘Free From Violence’ campaign is part of a global initiative undertaken by ChildFund to make the protection of children a priority goal for the international community. In 2000 the Millennium Development Goals spearheaded by the United Nations created a charter to prioritise key human rights and development issues . These are targets for change that particularly impact upon the lives of people in developing countries; their importance cannot be overstated. In 2015 this charter expires and a new set of priorities will be decided upon. ChildFund is dedicated to making sure that the issue of protection of children from violence is placed firmly at the heart of forthcoming discussions, and is addressed with the urgency and focus it desperately needs. Your support for the ‘Free From Violence’ campaign helps us make a powerful argument for vulnerable children across the world. Your support gives children a vital presence at this crucial gathering, it opens the door for them, it gives them a seat at the negotiation table, it demands that their voices are heard and their rights protected. So far, hundreds of thousands of signatures have been provided by people from over 150 countries. Every single one is vital. As we head into 2015, a hugely significant year for children’s rights, we would urge you to continue to support our ‘Free From Violence’ campaign. Ask you family, ask your friends or colleagues to learn more, and to help give children a seat at the table. 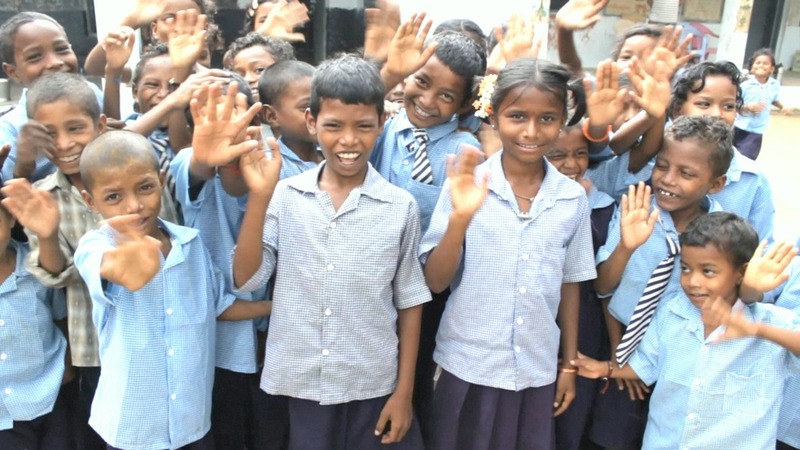 Let’s make 2015 a good year for children in developing countries and put a smile on their faces.